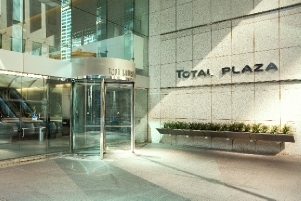 HOUSTON – (Realty News Report) – Jindal Tubular, which manufactures pipe used in oilfield drilling, has leased 4,078 SF of office space in the Total Plaza building at 1201 Louisiana in downtown Houston. The office will be used as a sales office for Jindal Tubular, which manufactures and supplies pipe in a wide range of diameters and thicknesses for oil and gas uses in both onshore and offshore sectors, in addition to water transmission and structural and piling applications. NAI Partners’ Michael Mannella and Dan Boyles represented Jindal in the lease. The Total Plaza building, which is owned by Brookfield Properties, is the home of the Petroleum Club. Previous: Houston Home Sales Up Year-to-Date Through Sept.